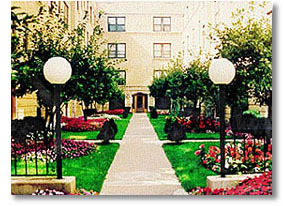 Wooded Isle Suites offers overnight lodging in a vintage courtyard building in Chicago’s Hyde Park neighborhood. 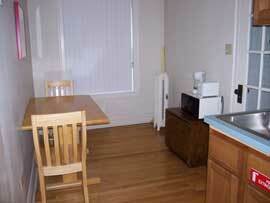 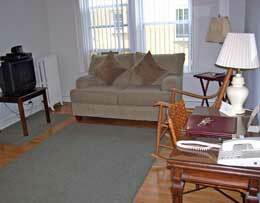 Studio and one-bedroom suites are completely furnished, including a kitchen with appliances and cookware. 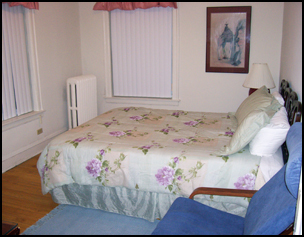 Studio suites sleep up to two adults; one-bedroom suites sleep up to four adults. 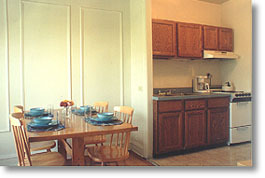 Visitors to the University of Chicago, local divinity schools, museums, and theaters enjoy Wooded Isle Suites’ convenient location to Hyde Park amenities, and to easy public transportation to Chicago’s Loop and to McCormick Place. 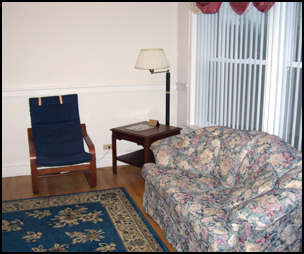 Guests arriving outside of business hours are met by appointment.